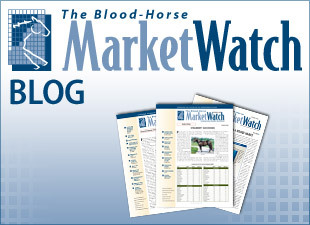 The Blood-Horse MarketWatch has just released a special report packed with sire statistics and prospective pinhook information for the upcoming Keeneland September Yearling sale marathon. The special report is available free to MarketWatch subscribers on the MarketWatch Web site. Any subscriber who has not registered on the Web site can do so from the home page but you'll need your customer ID number. The easiest route is to call our customer service department at 1-800-582-5604 and a representative will help you get set up. Once you're logged in to the site you'll have immediate access to other special reports and a rich archive of past issues going back to 1997.